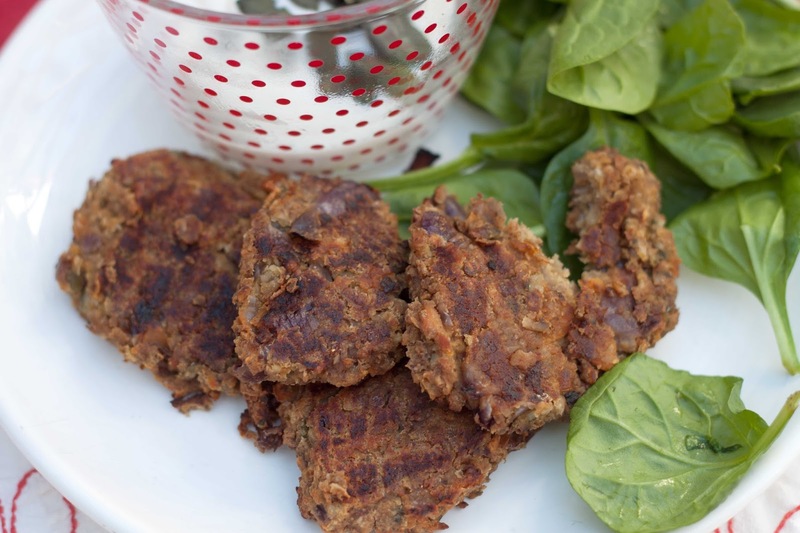 Falafels are one of those easy to make and eat things that you kind of always forget about. I always think they would be perfect for dinner when I spot them in the supermarket, but the traces of wheat, potato and milk put me off a bit, so I actually decided for once to make my own and they.are.so.good. A combination of flavour, texture and healthy ingredients = perfect lunchtime filler that’s quick to make and bake. What’s not to love? Go get your apron on, you’ll be dying to bake these. 1. Preheat your oven to 200°c, and slice up the onions and garlic to cook until soft in Coconut Oil. 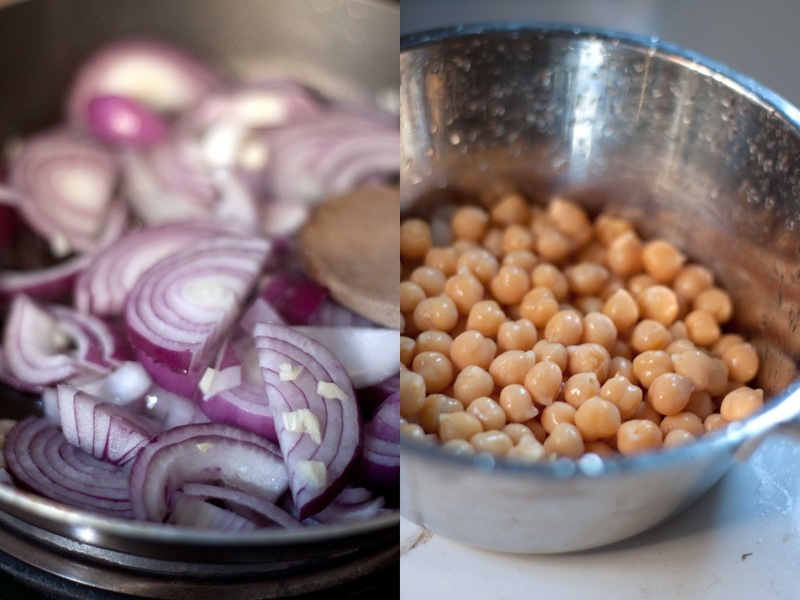 Rinse and empty the chickpeas, setting aside until later. Add the mushrooms and shaved carrots to the onions and allow to cook through on a medium heat. 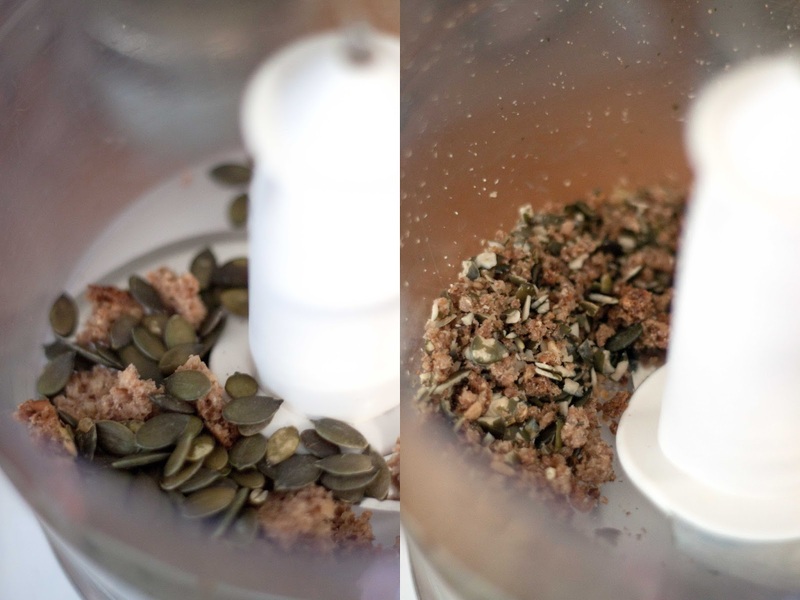 Break up the rye bread and add the pumpkin seeds to your blender, and pulse until a fine breadcrumb texture. 2. 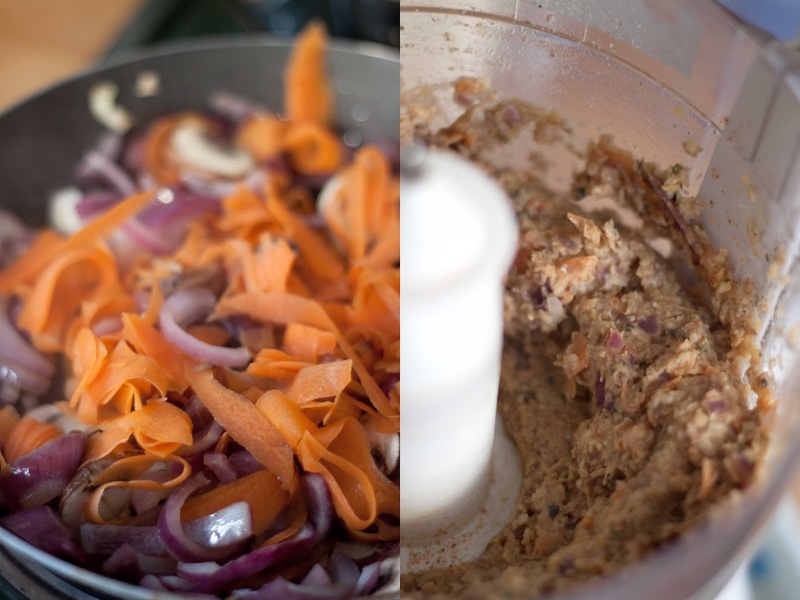 Once the onions, mushrooms and carrots are cooked and soft, add them along with the spices and chickpeas to the blender and pulse until combined and a smooth texture. If it’s hard to blend, add in some water to loosen. Check the taste and texture, adjusting accordingly, and then get making! 3. 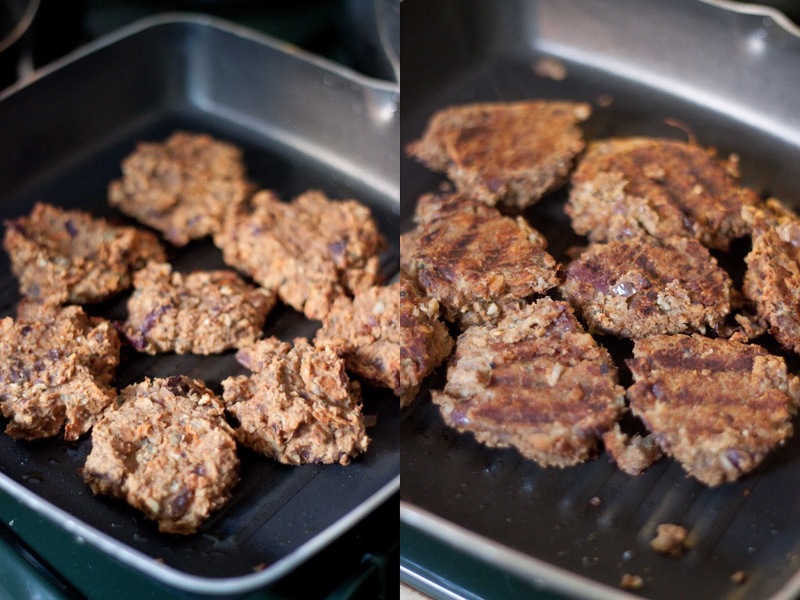 On a lined baking tray, take a tablespoon of mixture and spread the falafel mixture into 16 blobs – technical term. Bake on the middle shelf for 10 minutes, and then turn the tray around and cook for another 10 minutes until firm on the outside. 4. When you come to eat your falafels, you want a nice baked texture that’s crispy. You can either fry the falafel in oil, or using a griddle pan, wipe on some melted coconut oil and grill the outsides on a high/medium heat for 3 minutes either side. 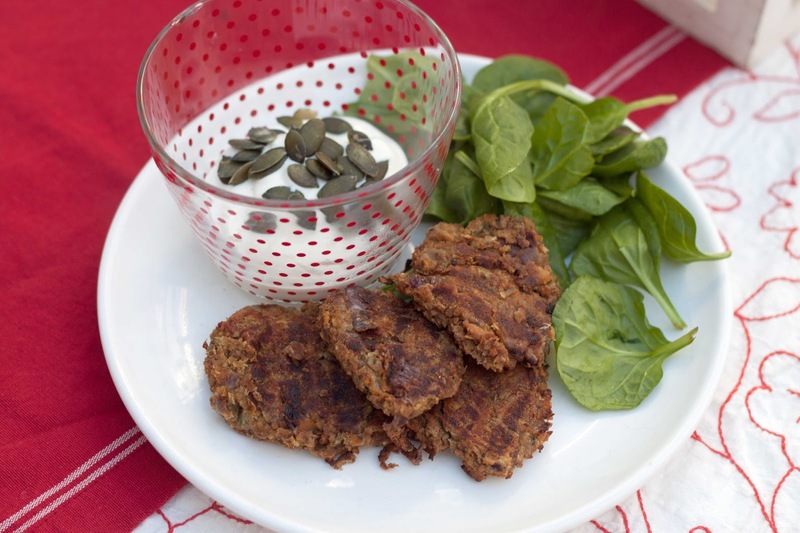 This adds a lovely crunch to contrast the soft centre, and is ready to serve up in your lunch or dinner with some avocado, yogurt dip and salad – perfection. 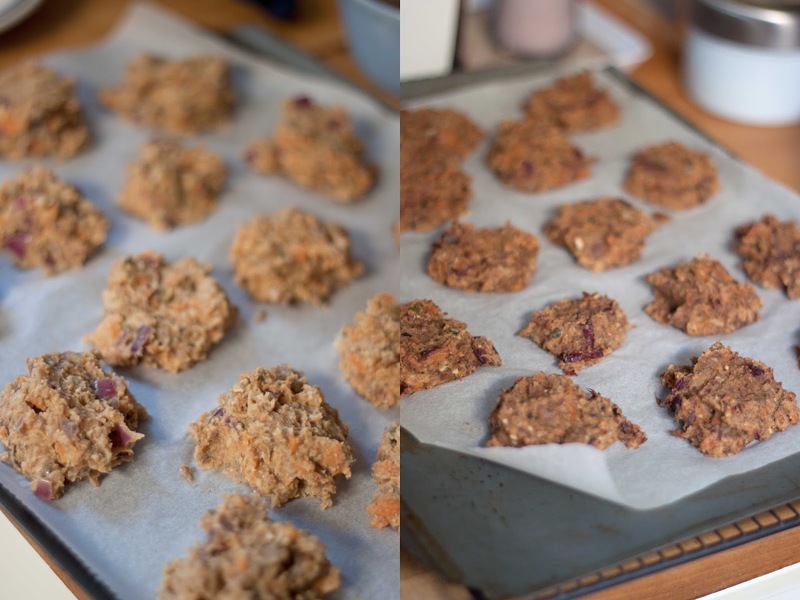 Little baked goodies full of healthy filling ingredients, great for dipping as a snack or as an accompaniment to your curry or stir-fry, and it’s so easy and quick to make you’d be cray cray to not give it a go! Make it your own by jazzing up the filling by adding some sweet potato or fresh herbs, or play around with ways to incorporate falafel into your meals this week. They also stay fresh in an air-tight container for 5-7 days, but honestly, you’ll munch them in two days because they taste sooooo good – you can trust me! So, next time you’re thinking of picking up some falafel in the shop, or any other easy to make food, give it a go yourself at home and see what versions you can create for a taste sensation. Are you a fan of falafels? Do you like Moroccan food? What are your favourite quick healthy snacks?